COOPERSTOWN – The hunt for the Cooperstown Winter Carnival Medallion – and the $500 prize – is on! The first clue is in the new edition of The Freeman’s Journal and Hometown Oneonta, on newsstands by 3 this afternoon. 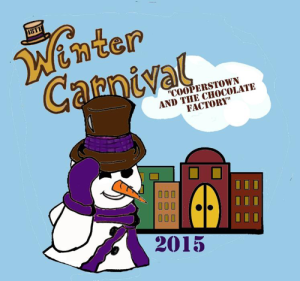 This year’s carnival, on the theme “Cooperstown and the Chocolate Factory,” is Friday-Sunday, Feb. 6-8.